Legal translation bur dubai covers a wide range of documents, including contracts, agreements, memorandums, warrants, wills, certificates, reports, court minute, witness statements, regulations, testaments, and immigration documents, among others. Legal translation bur dubai can be difficult to undertake. Translating legal documents should always be done accurately. The slightest mistake could lead to a complicated legal process. It takes years to have the skill to translate them with complete accuracy and consistency between languages. Understanding the legal systems in both the source and target language is a critical aspect of legal document translation. Laws, even the most fundamental ones, are vastly different from country to country. A legal translator must reflect the contents of the original and all of its legal particularities in the translated document. This means that the translator first needs to have a solid understanding of the legal systems themselves. 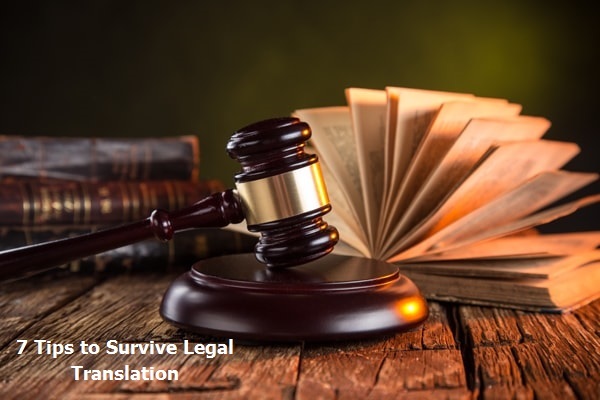 If you are a translator providing legal translation services in bur Dubai, you will need to have an in-depth knowledge of the legal system in the UAE and the other country to deliver a high quality translation. Defining a glossary of terms is an important part of any translation process, especially when dealing with legal translation. Creating a glossary for legal translation project reduces errors, and ensures that the terms are clear and understood throughout the document. Keep yourself updated to any new amendments to existing laws. Even the smallest changes can have an impact on large groups of people, and each change in the law may require you to amend your translated legal documents. Also, deadlines can quickly change, especially during litigation. Court dates are pushed up, and suddenly that legal document translation that was due next week needs to be reviewed tomorrow. This requires you to keep yourself in the loop to ensure that you provide a superior legal translation. Legal documents are generally set out as either a bilingual document, where both the original and translated languages are presented side by side, or in a monolingual format, which is separate but follows the same format as the original document. In fact, this depends on how the translated document will be used. Agree with your client on the formatting style to ensure consistent outcome. Some document translations are needed for information purposes only. In other cases, the translations will be submitted in court and must be certified. Once the translation Services bur dubai is completed, double check the document through the use of back translation. This is the process of translating the document, back in to the original language, to ensure that the translation is completely accurate. Professional translation companies will validate their translated documents and some courts may even require this. In some cases you might seek advice from lawyers, especially for witness testimony and government-related documents and terms. This process may come after standard legal translation happens. It involves a legal review by a lawyer who verifies if the translated content is correct for the local market of bur Dubai. In legal translation bur dubai there are a number of more specific areas of practice under the term “legal” that require deeper specialization. These include banking and finance, insurance, intellectual property, litigation, real estate, and so on. Make sure you have familiarity with the practice area that applies to your legal project. Our clients can rely on our extensive network of professional translators providing legal translation services in bur Dubai.